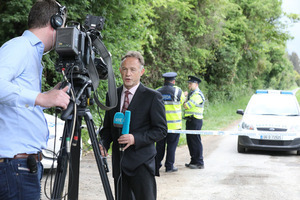 Justice Peter Charleton examined evidence given to the tribunal by RTÉ’s Crime Correspondent Paul Reynolds. Mr Reynolds had been asked at the hearings about several allegations made against him. One was that former Garda press officer Supt Dave Taylor claimed he “negatively briefed” Mr Reynolds about Sgt McCabe. Mr Reynolds denied this and Judge Peter Charleton accepted his evidence on this – rejecting that of Supt Taylor. Another matter Mr Reynolds was asked about was a report he wrote for the RTÉ News website in February 2014 about an internal Garda investigation into the wiping of penalty points by the then Assistant Commissioner John O’Mahoney. A third matter concerned Mr Reynolds’ reports in May 2016 about the O’Higgins Commission of Investigation after he obtained a leaked copy of the report. Judge Peter Charleton had been tasked with examining these reports to see if there was any evidence that Mr Reynolds’ reports had been influenced by the then Garda Commissioner Nóirín O’Sullivan. 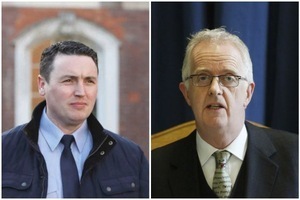 In relation to the second matter – Mr Reynolds’ reports on Asst Comm O’Mahoney’s penalty point investigation in February 2014 – Mr Reynolds had reported that the then Garda Commissioner Martin Callinan had previously written to Sgt McCabe and “told him to co-operate” with Asst Comm O’Mahoney’s report. Mr Reynolds told the tribunal that this report was based on his interpretation of a “direction” relayed to Sgt McCabe in December 2012 – which Mr Reynolds had seen. “Prior to its publication, he sought comment from Garda Headquarters and Maurice McCabe. He [Reynolds] received comment from the gardaí but not from Maurice McCabe, who gave a response to ‘Prime Time’ ahead of that programme being broadcast that evening. Paul Reynolds then amended his article to incorporate Maurice McCabe’s response to ‘Prime Time’. Going forward to the third matter – Mr Reynolds’ reports of May 2016…. The term of reference pertaining to this stated that Mr Reynolds’ reports had “branded [Sgt McCabe] a liar and irresponsible”. Mr Reynolds’ had used the word “lied” in his reports – as Justice O’Higgins found Sgt McCabe had told an “untruth”. However, Mr Reynolds didn’t use the specific word “irresponsible” in his reports. 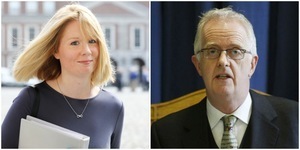 The claim that Ms O’Sullivan, whom the tribunal heard rose through the ranks of her respective career over 30 years with Mr Reynolds, was involved in Mr Reynolds’ reports came about because Sgt McCabe – in his protected disclosure – had claimed the head of HR in An Garda Siochana John Barrett told him Mr Reynolds’ reports would have come from “block one” in Garda HQ which is a reference to the Garda Commissioner’s office. Sgt McCabe referred to his source, Mr Barrett, as an “impeccable authority”. When Mr Barrett gave evidence to the tribunal, he denied ever telling Sgt McCabe that “block one” was the source of Mr Reynolds’ reports. The tribunal examined Mr Reynolds’ reports and the tribunal heard every single report Mr Reynolds made on May 9 2016 – RTÉ Radio One’s main news bulletin at 8am, Morning Ireland and News At One, and RTÉ Television’s News at One, Six One and the Nine O’clock News. In two of his reports, Mr Reynolds used the word “lie” and told the tribunal he did this after consulting his dictionary to check the word “untruth”. When he gave evidence, Mr Reynolds said everything he put into the public domain was based solely on the content of leaked copy of the commission’s report and denied that he was ever under any influence from either Garda HQ or Ms O’Sullivan. He also said that he “spoke to a number of people as well and I got various information”, without identifying these individuals. 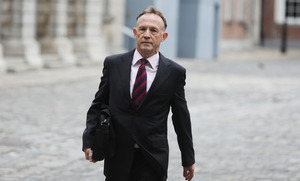 Taking the second and third matters together, at the tribunal, it had been suggested that Mr Reynolds’ reports of February 2014 and May 2016 indicated “a continual influence on RTÉ by Garda Headquarters”. Judge Charleton rejected this inference. He also found that no criticism could be made of Mr Reynolds reporting on the “untruth” and that the claim Mr Reynolds branded Sgt McCabe “irresponsible” was “inaccurate”. “This is a matter of opinion only, not something from which a negative inference could be taken. With the same material [O’Higgins leak], perhaps another broadcaster would have concentrated more on how bad policing investigations were in Cavan/Monaghan, perhaps not. “Perhaps the story might have been more about the issues and not about the personality of Maurice McCabe, perhaps not. That is not the point. On which would be better or not, the tribunal does not comment. 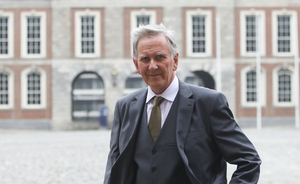 A fourth matter pertaining to Mr Reynolds at the tribunal related to the evidence of Dublin City University professor and journalist Colum Kenny. Mr Kenny claimed Mr Reynolds, along with the Irish Independent‘s Tom Brady, told him that Sgt McCabe was being investigated for child abuse in early 2014. Both Mr Reynolds and Mr Brady denied this. 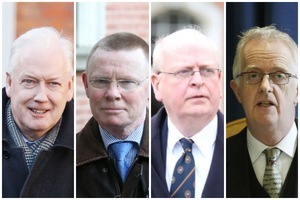 Mr Kenny and Mr Reynolds’ conflict on this matter was one of a number of incidences where journalists relayed conflicting accounts to Judge Peter Charleton. Judge Charleton ultimately did not attempt to resolve this conflict, or that of Mr Kenny and Mr Brady. Judge Charleton didn’t even record Mr Kenny’s claim to the tribunal about Mr Reynolds in his report. Judge Charleton said to even “set out the detail” of the conflict or “attempt to resolve” would not be appropriate and, to do so, would be beyond the tribunal’s jurisdiction. Posted in Misc and tagged Disclosures Tribunal, Judge Peter Charleton, Paul Reynolds at 2:08 pm on October 12, 2018 by Bodger. Beyond the tribunal’s jurisdiction? What about cycle lanes, Macbeth & Kant then… & citing himself? TLDR Is he a tool or not? To be or not to be, that is the question… not yours..shurrup. In fairness, Official Ireland has played a blinder. The Dept. of Justice, the politicians and the press have come out of this smelling of roses, with a couple of dodgy coppers to kick around for the sake of appearances. 1. The report clearly restored McCabe’s integrity and dignity but also made him a shining example that others should aspire to as citizens and employees. And that is the main thing to take away from this – a hero who didn’t want to be a hero. That alone will drive Official Ireland nuts. 2. Tusla was excoriated. RIAN Cavan the same. Read between the lines. 3. The Gardai didn’t fare much better – their culture and ways of working laid bare as unacceptable and that of an organization basically a bunch of bitter, gossipy aul wans with no work to do. The Rose of Tralee Garda Band has more credibility than the leadership and non-existence presence of the force in the community. Remember, we are not done will all the modules yet. In washington, they call it the potomac two step.